[LAUDERHILL, August 21, 2014] — HandsOn Broward was chosen as one of 9 sites across the country to host a volunteer-driven financial coaching program announced by Points of Light, in partnership with Bank of America and the Corporation for National and Community Service. Eighteen AmeriCorps VISTA members will be commissioned nationwide for service in the Financial Opportunity Corps. 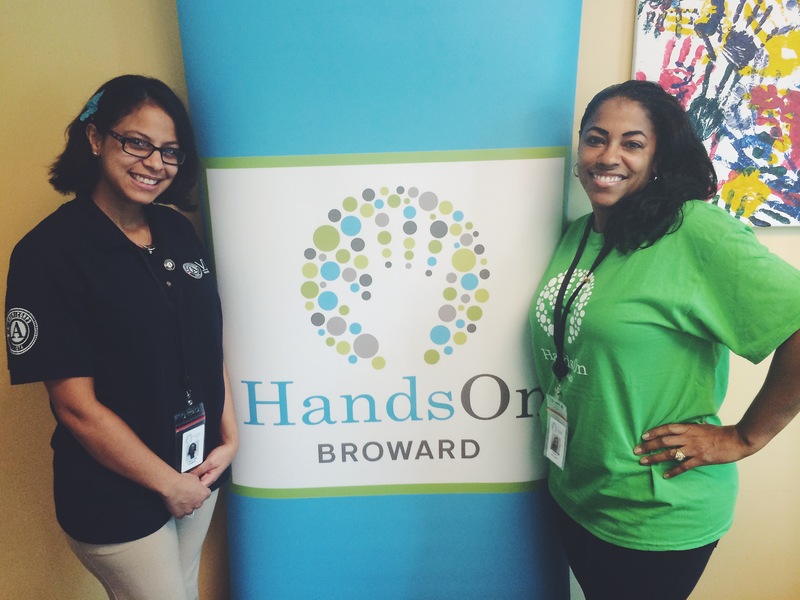 Two of those members, Carolina Linares of Margate and Tamika Mallard of Lauderhill, joined local volunteer mobilization organization HandsOn Broward this month. Linares and Mallard will help the organization train community-based volunteers – including employees at local Bank of America offices – to provide financial coaching to low- and moderate-income families in Broward County. This marks the second group of National Service Members to be inducted to the Financial Opportunity Corps, which was launched in 2013. In the program’s first year, 18 AmeriCorps VISTA members helped train more than 200 volunteer financial coaches at local nonprofits in 9 U.S. cities – serving more than 240 residents who participated in the program. Financial Opportunity Corps volunteers will help community members develop strategies to reduce debt, improve credit, start saving for emergencies, access benefits and build assets for long-term financial health. For more information on how you can volunteer or participate in Financial Opportunity Corps programs, visit http://www.HandsOnBroward.org or contact Kathy Wint at 954-233-1296. About Points of Light: Points of Light – the world’s largest organization dedicated to volunteer service – mobilizes millions of people to take action that is changing the world. Through affiliates in 250 cities and partnerships with thousands of nonprofits and corporations, Points of Light engages 4 million volunteers in 30 million hours of service each year. We put people at the center of change. For more information, go to http://www.pointsoflight.org. Bank of America Corporate Social Responsibility: Bank of America’s commitment to corporate social responsibility (CSR) is a strategic part of doing business globally. Our CSR efforts guide how we operate in a socially, economically, financially and environmentally responsible way around the world, to deliver for shareholders, customers, clients and employees. Our goal is to help create economically vibrant regions and communities through lending, investing and giving. By partnering with our stakeholders, we create value that empowers individuals and communities to thrive and contributes to the long-term success of our business. We have several core areas of focus for our CSR, including responsible business practices; environmental sustainability; strengthening local communities with a focus on housing, hunger and jobs; investing in global leadership development; and engaging through arts and culture. As part of these efforts, employee volunteers across the company contribute their time, passion and expertise to address issues in communities where they live and work. Learn more at http://www.bankofamerica.com/about and follow us on Twitter at @BofA_Community. About Corporation for National and Community Service: AmeriCorps VISTA is a program of the Corporation for National and Community Service, a federal agency that engages more than five million Americans in service through its AmeriCorps, Senior Corps, Social Innovation Fund, and Volunteer Generation Fund programs, and leads the President’s national call to service initiative, United We Serve. With passion, commitment, and hard work, AmeriCorps VISTA members create or expand programs designed to bring individuals and communities out of poverty. For more information, visit NationalService.gov. September’s Volunteer Spotlight belongs to U.S. Army Combat Veteran Eric Cummings. 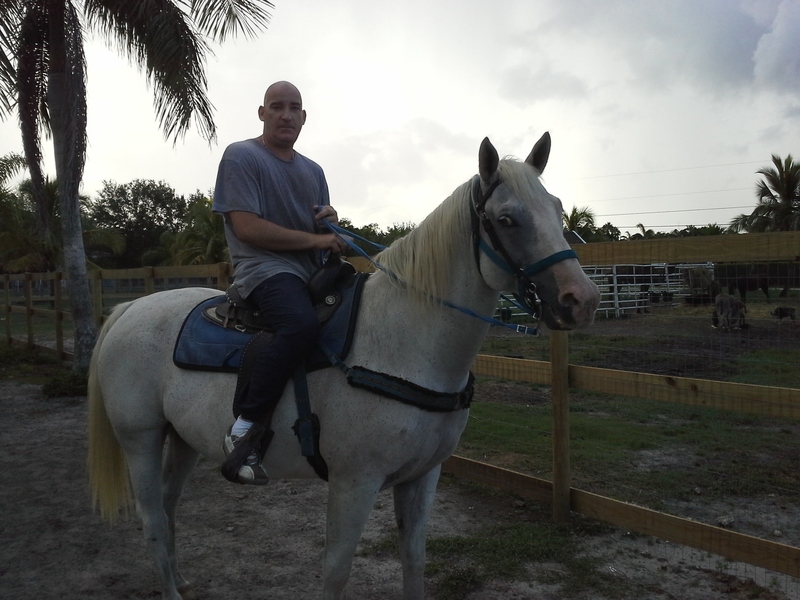 Eric is a relatively new HandsOn Broward volunteer, starting with us in June of this year, but that hasn’t stopped him from getting tremendously involved right off the bat. Eric was looking for some local volunteer opportunities when he stumbled upon the HandsOn Broward website. “I was actually looking for an organization that did volunteer work in the local community. After talking with some businesses and searching the internet, I found HandsOn Broward. I loved the variety of volunteer work throughout Broward County. It definitely seemed like the right fit for me to do work with adults, kids and animals in need,” Eric said. In just a little over two months, Eric has already completed over 100 hours of service through HandsOn Broward. 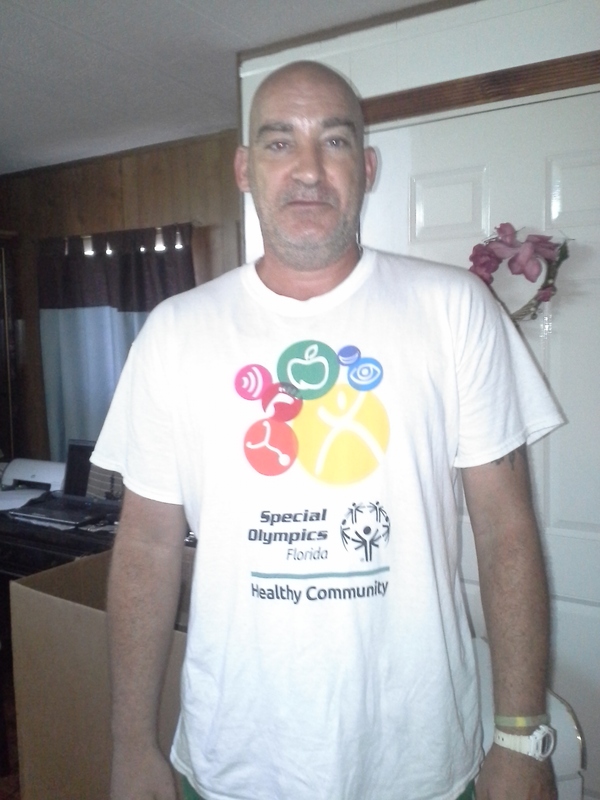 He has participated in a variety of volunteer opportunities, dedicating the majority of his hours to HAPPI Farm and the Special Olympics. Eric has been volunteering with HAPPI Farm several days a week since June 30th. HAPPI Farm provides children and adults with special needs and limitations with Animal-Assisted Learning (AAL), which can help them overcome physical and emotional challenges, minimize stress, and gain confidence, self-esteem, trust and pride. HandsOn Broward recently posted a new volunteer opportunity with Special Olympics for their bowling program. Eric began volunteering with this program about a month ago and has been really enjoying his experience so far. If you are interested in volunteering with HAPPI Farm, please click here. If you’d like to volunteer with the Special Olympics’ bowling program, please click here. Thank you, Eric, for being the change in Broward County! We hope other volunteers are inspired by the impact he has on our community.